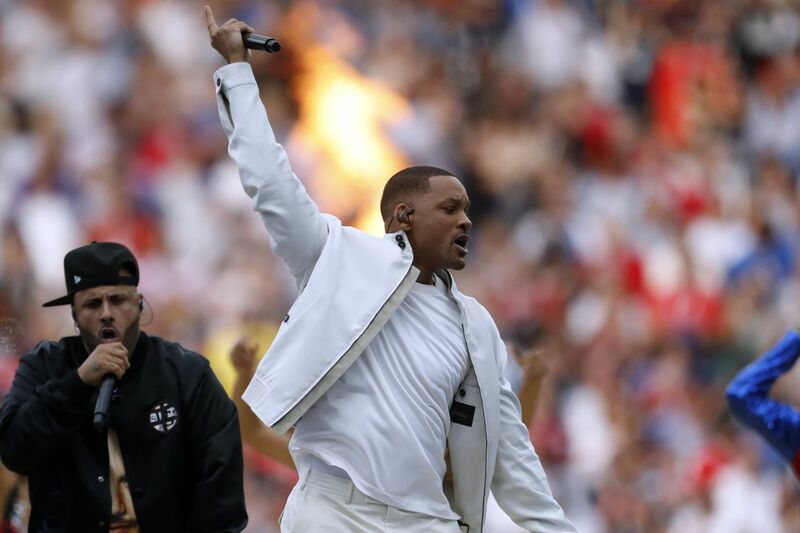 Will Smith performs during a ceremony prior to the final match between France and Croatia at the 2018 soccer World Cup in the Luzhniki Stadium in Moscow, Russia, Sunday, July 15, 2018. BEVERLY HILLS, Calif. — Will Smith's plans to mark his 50th birthday by bungee jumping the Grand Canyon are a go, YouTube content chief Susanne Daniels announced Friday during the Television Critics Association's summer meetings. The stunt, which grew out of a challenge last spring by YouTubers Yes Theory who grew up watching Fresh Prince of Bel Air, will be streamed live on the Philly native's YouTube channel on Sept. 25 and, according to YouTube, is also aimed at raising awareness for charity. Plus, there's this, from the official statement: "Yes Theory believes if we want to build a better world together, we have to choose love over fear." Daniels, not surprisingly, is psyched about the whole thing. But what about those who might worry the YouTube stunt could break a Philly icon? "We're going to do every safety precaution we possibly can. And I know he will, too. We don't want to hurt Will Smith," she said.